According to the Bureau of Economic Analysis, which released its report Wednesday, Maine’s increase ranked 16th in the U.S. Nationally, the GDP rose 1.9 percent in the third quarter – a sharp drop from the 3.8 percent growth in the second quarter of 2015 – and New England’s GDP as a whole rose 2.0 percent. The state’s economic output grew from $54.6 billion in the third quarter of 2014 to $55.8 billion a year later. That’s less than the 2.5 percent increase cited by the bureau, but is based on annualized rates and other factors that affect the formulation. Nationally, the bureau said retail trade and the combination of health care and social assistance accounted for much of the economic growth in the quarter, which held true in Maine as well. Retail trade contributed 0.54 percentage points to the state’s overall growth, and health care and social assistance contributed 0.58 percentage points. Construction also picked up in the quarter, along with manufacturing of non-durable goods – products expected to last three years or less. 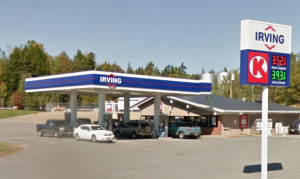 The Irving in Medway is set to lower its prices again before Christmas. Higher retail spending last summer was likely a result of falling gas prices, said Curtis Picard, executive director of the Retail Association of Maine. Picard said the decline in gas prices picked up steam last summer and gave Mainers more money to spend on other things. The average price of a gallon of gasoline in July 2014 was $3.61, and by July 2015 it was $2.75 and continuing to fall. Picard also said he attended a conference recently in which a speaker said to expect increased purchasing by young adults. As the economy has picked up and unemployment has fallen, he said, more recent college graduates have been able to move out of their parents’ homes. That means increases in the sales of furniture and household goods. Maine retailers may have benefited from the start of that trend last summer, Picard said, and he expects it will carry over into this year. Amanda Rector, Maine’s state economist, concurs with Picard about the economic boost in Maine from falling oil and gas prices. Rector said she expects the numbers to show solid growth in the fourth quarter of 2015, although she said holiday sales were up only slightly from 2014. “But it’s nice to see growth on growth,” she said. Rector noted that Mainers continue to benefit from sharply lower heating oil costs and mild weather, which provided many households with even more disposable income this winter. Maine’s GDP increase for the third quarter of 2015 was tops in New England. Massachusetts had the second-strongest growth, with its GDP increasing 2.2 percent. Rhode Island and Vermont followed with increases of 2.1 percent. New Hampshire was fifth, at 1.7 percent, and Connecticut lagged at 1.6 percent growth. The only sector that contracted in Maine during the quarter was the wholesale trade, which subtracted 0.34 percentage points from the overall increase in the state. South Dakota posted the biggest increase in GDP during the quarter, rising 9.2 percent. The slowest growth was in its neighboring state, North Dakota, where the economy contracted by 3.4 percent. 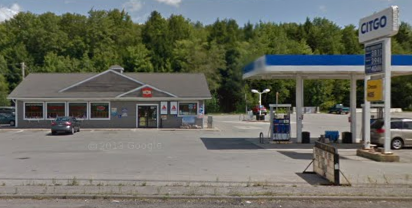 Gas prices are still low in Maine leading up to the holidays. PORTLAND, Maine — Statewide gas prices fell again during the past week, with the average price dipping 4 cents and further declines expected heading into Christmas week. The statewide average for a gallon of regular gasoline on Monday was about $2.14, according to surveys from GasBuddy and AAA. That’s about 57 cents lower than the average one year ago and down about 10 cents from one month ago. At least 15 stations in Maine posted prices below $2 per gallon on Monday, according to GasBuddy reports, many of which offered that price for cash transactions only. 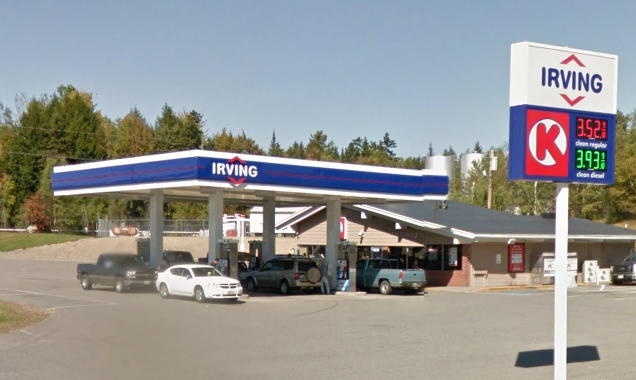 Stations with the lowest prices — including two at $1.92 per gallon — can be found in the Bangor area. Prices at those stations are hovering around the national average, which dropped almost 2 cents to $2.01 in the past week. Maine is one of 48 states where the statewide average price is down more than 50 cents from one year ago, according to AAA. Jeff Pelton, a senior petroleum analyst for GasBuddy, said in a news release Monday that the current rate of crude oil production means price decreases are likely to continue into the winter. “Expect refineries to do their part to get through the glut of crude on hand and that will put pressure on gas prices to fall the next month or so,” Pelton said. That comes as more people are likely to buckle up for long-distance rides. The federal Bureau of Transportation Statistics reported in 2001 that long-distance trips increase about 23 percent during the Christmas and New Year’s holidays, compared with the average for the rest of the year. Most of that long-distance travel, as with long-distance travel generally, was by car. Low, low gasoline prices are here for Christmas! In its holiday gasoline price forecast, AAA reported that federal statistics showing rising gasoline inventories and increasing production are likely to keep pushing prices down. Steady output from the Organization of the Petroleum Exporting Countries, or OPEC, has contributed to that price decline and has also hit U.S. crude oil producers hard. The U.S. Energy Information Administration reported last week that the U.S. oil rig count in October had fallen more than 60 percent from one year earlier. Book your Beach Travel on Expedia.com: Plan a sunny, sandy escape! First letter of the Town or City's name. 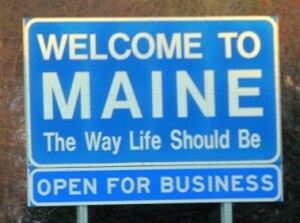 MeRay on Welcome to the new MaineSeek.com!